This document was the result of an 8 week course hosted by the Denver Small Business Development Council. 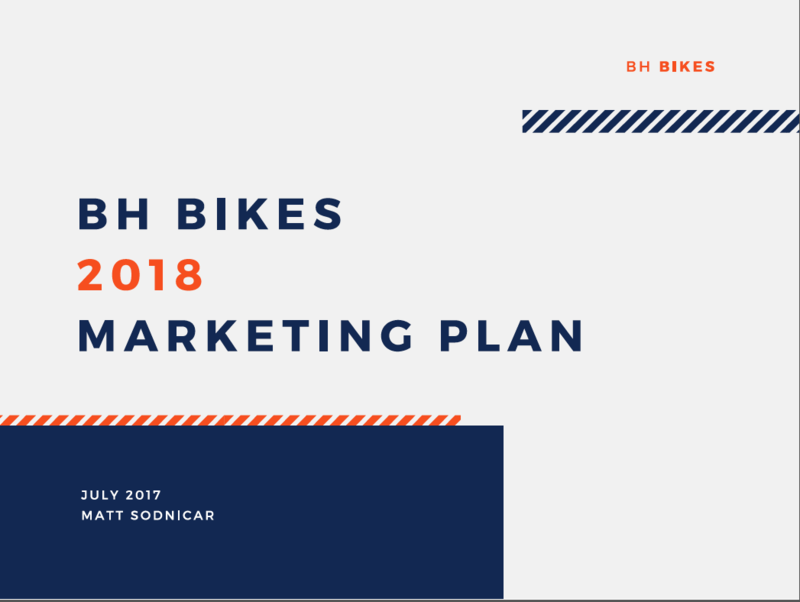 A comprehensive marketing plan. I have functional Adobe Illustrator and Photoshop skills, but these examples in marketing and advertising were the result of a collaborative team effort, coordinating the process from initial design to concept delivery. For MY 18 product launch, we had limited images from our photo library, and no budget to stage images of current product in use. The end result is a combination of a studio shoot, and relevant stock backgrounds. Done completely with stock, royalty free footage, sound and Fiverr gig services, this spot is designed to provide potential customers with a subtle way to envision why they should buy a Warmfront. Bike MS Team Fundraising video - using still images, and mobile editing platform Quik.